Eco Friendly Flooring goes a long way toward making your home greener. Whether you want to save the planet or just improve the air quality in your small corner of it, here are selections that are not just green but beautiful and classic. You won't have to hunt as far as you might think to find sustainable flooring products. Floors cover a significant space in your home and the floor type and installation methods can have as much impact on the air quality of your indoor space as on the global environment. We have three favorite eco friendly flooring materials in price ranges that fit any budget. More than just green, these are warm and beautiful additions that make a statement in your living space. You may be surprised at some of our top 3 picks and you may be surprised at what's NOT here. Sustainability of the raw materials is only one part of determining how green the installed product is. Avoid trends and fads which date a space and require replacement more frequently than classic or traditional finishes. Transport of raw and finished materials, manufacturing processes, installation prodedures and products, durability, maintenance requirements and recyclability at the end of the product's life all have to be considered when deciding how green the installed floor is. For example, bamboo is a fabulously fast growing grass that can be harvested every 5 years while leaving the root intact to regenerate itself. However the intense processing and transport it undergoes before it becomes your floor negates most of it's eco benefits. The perfect environmentally friendly product would be found in your yard, require no modifications from it's natural state, be installed and maintained with natural adhesives and finishing products and last for decades. Additionally it would be fully recyclable at the end of its life. An admirable goal but a stretch even for the greenest of us. The most sustainable floors are a marriage of local, sustainable, durable, recyclable materials installed with eco friendly adhesives, sealants and finishing products. The more of these attributes your floor can claim, the less the negative impact. The floor area is a large expanse and contributes significantly to the air quality of a room. Products that contain volatile organic compounds (VOC's) will off gas those compounds into your living space for years after application. Carefully choose all installation and finishing products for the greenest overall outcome. Renovating is NOT a green practice and from an environmental perspective, the fewer times it needs to be done, the better. Make your choices count for the long term by selecting products that are classic, durable and re-usable or easy to reincorporate once their life as a floor has ended. We've considered all stages of the production of different flooring options and come up with our top 3 eco friendly flooring options. Floors with experience, reclaimed wood is harvested from a variety of sources including barns, warehouses, wood bridges, abandoned mills, granaries and factories. The reclaimed lumber is sometimes reused as is, undergoing little reprocessing and so maintaining its rustic appearance. In other cases the timbers are re-milled into planking and finished into flooring and furniture suitable for high end homes. Prices start at $4.50 and go up from there to more than $15.00 a square foot depending on the type of wood the amount of re-milling it undergoes. From rustic to refined there is a reclaimed wood product to fit into every decor. The end price will depend upon a number of things including how much re-milling and finishing is required. 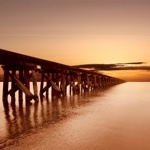 Several sources for heritage wood products exist, particularly in the Pacific Northwest region where timbers were widely used in the construction of structures. Ecofriendlyflooring.com/ carries a wide selection of eco friendly flooring and check out what secondwindtimber.com/ has available in timbers that can be milled into a one of a kind floor. It all starts with the Cork Oak, a tree native to Mediterranean areas. Portugal is the primary annual producer of cork followed by Spain then Italy. The bark of this majestic tree is cork and skilled harvesters strip it from the trunk. 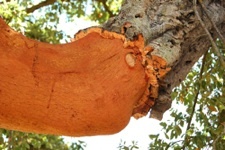 A Cork tree provides an ongoing supply of cork without the need to cut down or harm the tree itself. Legislation is in place to prevent harvest from immature trees and sets parameters for the ongoing harvest throughout the tree's 200 year lifespan. The cork layer can be stripped from the trunk of a mature tree once it reaches 25 to 30 years old and can be harvested every 9 to 13 years after that. Cork flooring has a number of advantages along with being sustainable. This impermeable, elastic, buoyant and fire resistant material is comfortable underfoot, insulates against sound and temperature, is fire resistant and resists moisture. Cork flooring is available in sheet or tile forms and can be installed as a floating or glued down surface making it a versatile choice for a variety of flooring applications. Prices start at $2.50 USD per square foot. 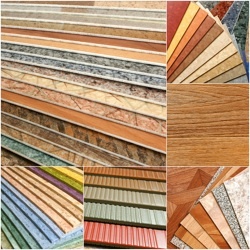 Polyvinyl Chloride (PVC) products are often referred to as linoleum. 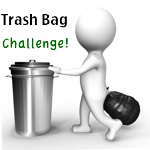 Polyvinyl chloride is not considered to be environmentally friendly. Carefully research the source of your products before purchasing. That's right! Linoleum. Who knew that good old linoleum would be a contender in the green flooring arena. Made from a combination of linseed oil, pine rosin, gums, cork dust and pulverized wood laid on a canvas or burlap backing, linoleum is environmentally friendly and comes in an amazing array of colors and designs. Lino (which it's often called) is durable, comfortable to stand on, inexpensive, and maintenance includes only an occasional mopping. The linoleum itself boasts an impressive list of green attributes and when installed with eco friendly adhesives and other products it's non-allergenic and produces no off-gassing. Made from renewable materials and even post industrial waste, lino is environmentally friendly, inexpensive, flexible, non-allergenic, resistant to cracking and biodegradable. Durability plays a key role when determining just how green a product is and linoleum is a gold medalist in that department often lasting in excess of 50 years. Because of its durability, lino was once used in battleships and is still used in hospitals and other institutions, AND at the end of its very long life, linoleum is completely biodegradable. Additionally during the time it functions as your floor it does not compromise the air quality in your home by off gasing VOC's and other nasties into your home. Forbo's Marmoleum and Armstrong are the premier manufacturers of environmentally friendly linoleum today. Make sure you get the real deal and not polyvinyl chloride masquerading as linoleum. Visitors to our Eco Friendly Flooring page may also be interested in the following pages.